You might not even be contemplating or thinking about this yet (in which case please save, bookmark or pin this post for later in January). 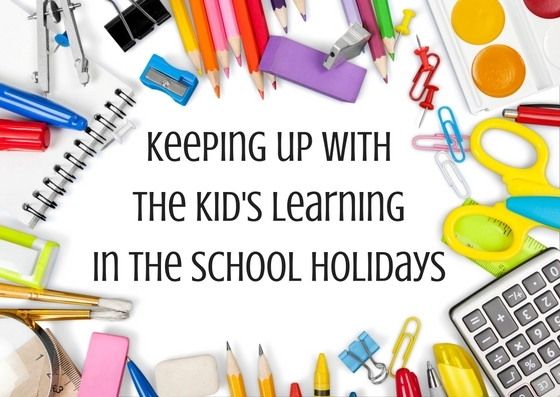 On the other hand you may be fresh out of a parent teacher interview or you've read your child's report and want to know how you can keep up with their learning during the long summer holiday break. (You'd be surprised at how many parents would ask me for 'activity books' and worksheets to be sent home with their child during the last week of Term 4). Children work really hard over the school year - and don't get me wrong, they NEED their holiday breaks to play and enjoy just being kids. But of course they're going to need to be entertained, and doing some educational activities (in moderation) certainly doesn't hurt them - and it can actually do them the world of good so that when they return to school the following year, they haven't taken 10 steps backwards. So here are my top tips! Encourage them to keep a diary. They don't necessarily need to write in it each day, just when they feel like it or have something exciting to write about. They can record places they've been, draw pictures, add captions to photos or paste in memorabilia like movie tickets. Even better - keep a journal of a special family holiday that you might have been on (great to do on the flight or car ride home). Grab some activity books from the newsagent or book shop for them to work on when they're bored. Sticker books are great, colouring in, dot to dot - ideal for down time in the midst of the busy silly season (be sure the check they're age appropriate). Write thank you notes to family members (and Santa) who gave them Christmas presents. Not only can they practise their writing skills, but can be reminded about gratitude and being thankful at this time of year. Help out with the shopping and cooking! Kids will love to read recipes, make shopping lists, buy the items needed, measure the ingredients - so much mathematical learning can happen in these daily tasks if you really think about it! Go on a nature trail at a park or beach (better yet if you are on holidays exploring a new place). Photograph or record your findings. Look for numbers in daily life - walk down your street looking at numbers on the letter box discussing odd and even, look at number plates on cars and add up the numbers, count how many steps it is from one end of the house to another, play board games! Numbers are everywhere if you really look for them (so are shapes too for that matter - go on a shape hunt!). No doubt there'll probably be some screen time during the holidays - here's my list of 10 Educational apps. You'd be surprised at how many of the ABC kids shows these days are actually educational - and you can use them as a starting point for a learning experience. For example, watch Big Ted's Big Adventure the day before you're planning to visit the zoo, be inspired by Play School and do some of their craft activities (or Mister Maker for that matter), get outside and do some gardening like Dirt Girl, and Peg + Cat is great to reinforce mathematical concepts. Read read read! I cannot stress this last one enough. The more they read the better they get. Reading is a skill for life and daily reading is essential (obviously I know it may not be possible every single day of the busy summer holidays) - but it certainly will make a lot of difference when your child returns to school if they've kept up with the good reading habits that were established during the school year. Read in the car on long drives, on flights if you're travelling, read to each other, chill out inside in the air-con on a hot day, head to the library to borrow some new books... If you do just one thing from my list - DO THIS ONE! We are so close to the end of 2016! Some school's are already on holidays, some are in their last week and (I believe) some even have another week to get though... Wherever you're at - I hope that you're kids are doing well. I'm aiming for two more blog posts and then that will be it for another year! Please stick around. Love these tips! My oldest finished Prep this year. My plan is to do more reading these holidays and do more craft and activities. It definitely stimulates their mind. Great tips Lauren. I can tell I'll be the mum who keeps doing learning activities with bub during the holidays once she's in school. P.s. 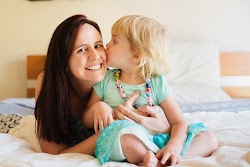 so many people say bad things about abc kids and apps, but she's learnt so much from them!